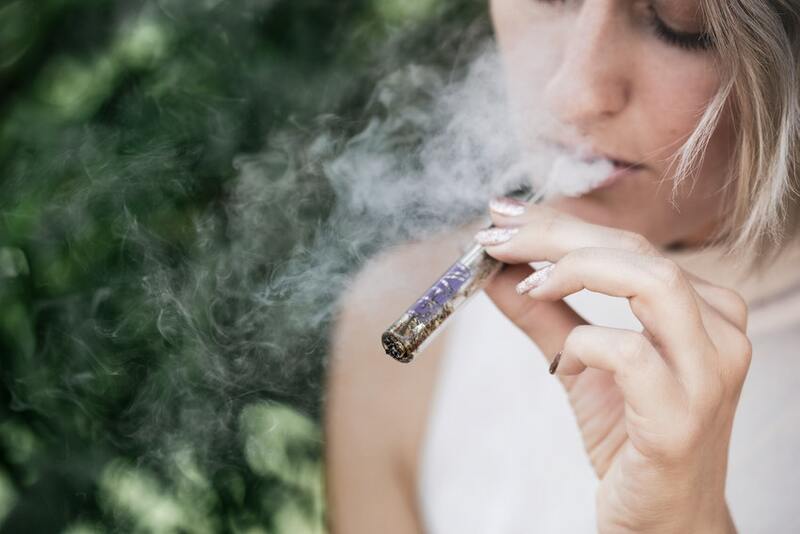 There are many different ways to get high — from firing up a blunt with your friends, to getting a rub down with some cannabis-infused massage oil. And with more and more states and countries loosening their marijuana restrictions, that means more and more people are free to experiment with cannabis, and experience all that it has to offer. So, for those new to marijuana use, and those not-so-new but curious, I offer this list of favorites: the 7 best ways to get high. Call me old fashioned, but for me a good joint is hard to beat. People have been rolling joints for thousands of years, and I’m sure they will still be rolling them a thousand years from now. Sometimes the old ways are the best ways, and this classic method will never go out of style. I like joints because I like the feel of the smoke in my lungs. I like the burn. I like the taste of it, the full aroma and flavor you can only get from burning a joint. I like the head rush. You know immediately how strong it is, and you know when you’ve had enough. Bonus: Don’t know how to roll a joint? No worries. Check out this definitive guide. If there is anything I like more than a joint, it’s a joint with a bit of tobacco twisted up in it — often called a spliff. Now I know this isn’t for everyone. If you don’t like the smell or taste of tobacco, then obviously this ain’t for you. Just skip on down to number 3. But personally, I love a blend of good weed and rolling tobacco — like Drum or American Spirit, which you can probably find at your local smoke shop. Mix it in with your favorite cannabis strain and roll it up. The tobacco helps the spliff stay lit and burn more evenly. The nicotine buzz accentuates the cannabis high, and the two combine into something new and different. You can change up the mix, and tweak it how you like — more tobacco for more of a light buzz, more weed for a stronger and more mellow high. Plus if you do it right, you can make it so that when the spliff burns down there’s nothing left but tobacco, and then just toss it away. Ok, so joints or spliffs are great when you’re alone, but getting high with friends requires a different approach. That’s where the blunt comes in. Blunts are rolled with blunt wraps or the shell of a cigar. Just cut it lengthwise and empty out the tobacco, then fill it with your favorite pot. While most joints will only contain about a half a gram, and spliffs even less, a blunt can easily hold 1 – 2 grams, or more. That makes it perfect for smoking in larger groups — plenty to go around. Cigars and blunt wraps also come in an amazing variety of flavors, so I’m sure you can find something that appeals to you. If blunts and joints just aren’t your thing, then pipes might be your best bet. Pipes give you better control over your pace and dosage. You can load up as much or as little as you like, and you can drift off into an herb-fueled revery for as long as you like, without worrying about your joint going out. They also leave behind less of an odor than joints or blunts, if that’s an issue for you. Pipes come in all shapes and sizes, from concealable one-hitters and cheap metal pieces to hand crafted glassware that is a work of art in itself. A bong is like a pipe taken to the next level. The basic idea is to have an elongated chamber with the bottom part filled with water and the top part open — that’s where your mouth goes. Your weed goes into a removable bowl with a “stem” that is inserted in the side of the chamber and reaches down into the water. So when you light the bowl and inhale, the smoke gets pulled through the water with a bubbling sound. Then when the chamber is full, you remove the stem and clear the chamber, inhaling it all at once. Bongs are great for two reasons. 1) the water filters the smoke somewhat, mellowing the burn — especially if it’s ice water. 2) it enables you to take huge, heroic hits, literally filling your lungs with smoke and getting the biggest head rush imaginable. Which, btw, is not a good idea if you’re new to this. Start slow. You’ll get there. Vaping is all the rage these days, and for good reason! That reason is called science. You see, marijuana begins to combust at around 200°C. But the cannabinoids in the plant (i.e. the THC and other chemicals that get you high) begin to vaporize at more like 170°C. And that little window in between there is a sweet spot where you can vaporize and inhale all the good stuff without burning the plant itself. The taste is cleaner, because, well… no smoke. It’s also more efficient. A lot of the cannabinoids that make us feel so wonderful can be destroyed during combustion. Vaping keeps the good stuff from going up in flames, meaning you get more active ingredient per gram of pot. Meaning you get higher. Last but not least! You don’t have to inhale your cannabis to get high: you can cook with it instead. There are a lot of good recipes out there, but the basic trick is to infuse the cannabinoids from the plant into a fatty base — usually that means butter, but you can also use milk, honey, coconut oil, even alcohol — then use that to bake up something delicious. If you’re lucky enough to live a state or country that has legalized recreational pot, you can even go to the store and buy edibles ready made, along with cannabis infused beverages. There are pros and cons to consuming marijuana this way. On the plus side, it lasts waaaay longer. It’s also a different kind of high; less cerebral, and more of a pleasant warmth through your whole body. The downside is that the high from edibles takes a lot longer to come on. And if you’re new to it, or uncertain about the dosage and strength of the product, there is the risk that you will consume too much, and not know it until it’s too late. So that’s it! Have you tried them all? What are your favorite ways to get high? Did I leave something out? Leave a comment below and tell me what you think. Stupidest thing I ever heard? I hung out with Jamaican Rastas and they would take an Ounce of weed and put it in a brown papr bag and push it all into one corner and twist it off into a cone and light the fat end. That’s what we called a Spliff mon. Google it. Ask around. Or not. It’s all good man. Peace! Does Marijuana Legalization Increase Traffic Fatalities?